Located at Fort Worth Meacham International Airport, Fort Worth Aviation Management provides unparalleled aviation services while reducing the costs and complications of aircraft ownership. Owning and flying your own airplane is exhilarating but managing daily operations, maintenance and FAA compliance can be challenging. Fort Worth Aviation Management provides first class, personalized service, managing all of our clients' aviation-related needs. The collective expertise of the FWAM team assures you greater safety, lower costs, better efficiency and reduced liability. 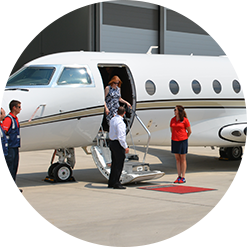 We take the time to know our client’s preferences and their expectations every time they board their aircraft. 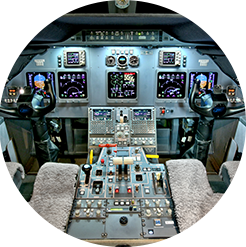 Fort Worth Aviation Management provides solutions to the time demands that often constrain and overwhelm our clients. The following are many of the ways in which we assure that you enjoy the many freedoms that owning private aircraft offer. One phone call is all that it takes for our 24/7 scheduling department. We will arrange all of your catering and transportation needs to get you to the closest, suitable airport to your destination and provide reliable communication to everyone involved. ©2015, FW AVIATION MANAGEMENT. ALL RIGHTS RESERVED.